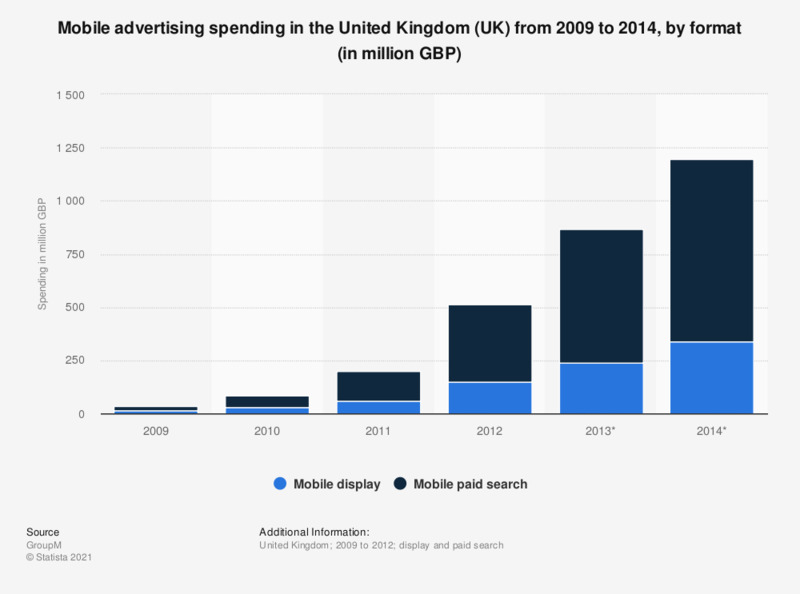 This statistic illustrates mobile advertising spending, by format, in the United Kingdom from 2009 to 2012, with a forecast to 2014. In 2011, mobile search spending was 137 million British pounds. Mobile advertising expenditure is forecast to increase to over 1.1 billion British pounds (all formats) in 2014.